Lighting and lighting fixtures can definitely help "set the mood" in your landscape. Aside from the illumination that they provide, lightings can also add a bit of elegance and attitude to one's landscape. However, only certain kinds of lighting fixtures can be used outdoors. Some of them are spotlights, down lights, and accent lights. Spotlights are good garden additions, which can highlight landscape focal objects, such as fountains or sculptures. They also provide additional lighting to gardens, making backyard or outdoor walks safer and more enjoyable. 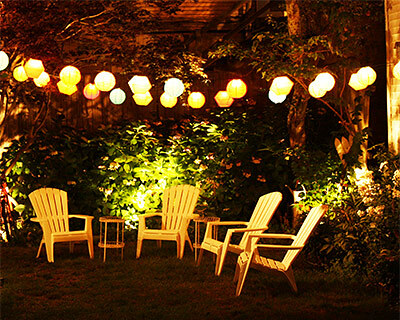 Using down lights and accent lights will also improve the overall ambiance of your outdoors. They can be used to highlight certain focal objects, like water features and plantings. These are only a few lighting additions that you can put to your landscape or outdoor areas. However, you can only get the maximum benefits from these lighting fixtures if these are classified as low voltage lighting. What is Low Voltage Lighting? Low voltage lighting is becoming popular because of its low-power consumption. Many homeowners and commercial business owners now use this type of lighting. 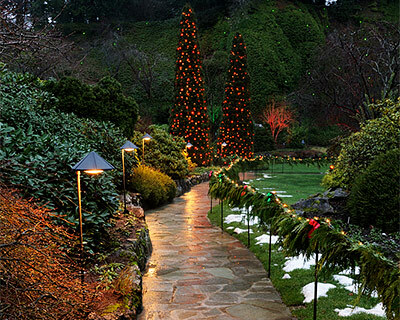 Low voltage lightings are not only used to improve the overall aesthetic appeal of your landscape or property. They can also dramatically reduce your utility bills. These lightings utilize 30 volts of electricity, or even less, but still can emit as much light that an ordinary light bulb can provide. Apart from being cost-effective and energy efficient, low voltage lightings release minimal heat. This makes low-voltage lights ideal for greenhouses and facilities where heat-sensitive plants are being housed. Also, these lightings are also cool to touch, making a room or a work area more comfortable without having to sacrifice the quality of lighting. Another benefit of having low voltage lighting is it is safer than its counterpart. With the availability of a better lighting alternative at a lower-energy consumption and cost, most homeowners and even commercial establishments are now replacing their traditional lightings and opt for this technology. Having low voltage lighting in your home and landscape is one of the many ways to improve the aesthetics and functionality of your property. However, caution should be practiced, especially in purchasing and installing these fixtures. It requires proper installation and only the best products must be used. Low Voltage Lighting Choose installers with ample experience and appropriate tools and equipment just like us. Mike's Lawn & Garden is more than capable to do the low voltage lighting installation for you. Our company has been one of the reliable landscape lighting providers in Little Compton, Rhode Island. As a sought-after provider of landscaping services and lighting installations, we have been actively serving various clients across Rhode Island and even Massachusetts. With a team equipped with experience in lighting installation, our clients are well assured that every landscape lighting project that we handle will be done fast and efficiently. Moreover, we only get our products from reputable lighting and landscape product providers in the country. Thus there's no need for frequent lighting replacement and maintenance. Talk to one of our landscape lighting installers now and learn more about the benefits of using low voltage lighting.